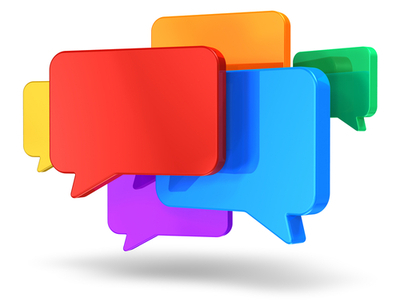 In the last post we discussed features that we must look for in a live chat support tool. Based on these features we have picked some of the most popular options that may meet the requirements of your business. One of the most important considerations that went into preparing this list was whether or not general and big business tool-sets have been made available to small businesses at affordable prices. Below are summary reviews of these live chat support tools in no particular order or ranking. Zopim: This live chat support tool is quite popular among business of all sizes. Their pricing makes it easy for most businesses to find a package that fits their budget and requirement. It gets top marks in reviews for allowing businesses to see which page their users are on. Real time monitoring allows you to reach out to visitors and help them into making a buying decision. Zopim also has android and iOS apps. LiveHelpNow: You get almost everything you can want from a live chat tool from LiveHelpNow. It is easy to customize, can track returning visitors and integrates seamlessly into third party tools like Google Analytics and Salesforce. It is also great for operators in training or when they need expert advice from their seniors. SnapEngage: It is a lot more than a live chat support tool. By integrating into your workflow and connecting with over 20 popular business apps, you can manage productivity, social and your entire business operation and not just customer support with SnapEngage. The only downside of opting SnapEngage is the cost. With a starting price of $60 and integrations with advanced solutions, it isn’t the best solution for very small businesses. Olark: Quality customer support, boosting sales and preventing abandoned carts can only be achieved when you have full control over live chats. Olark offers the ability to target a user based on what they are viewing, full control over how many chat requests are received and which one of these requests are accepted. This control allows a business to prioritize based on available resources. Comm100: If you are looking for a smart live chat support solution that covers the basics but doesn’t foray into things you don’t come to expect from a live chat support tool, Comm100 is for you. Installation is as simple as copy-pasting a code into the platform you’re already using. Operators can respond from the web or a desktop application. WhosOn: From basic to advanced options, WhosOn covers live chat requirements. It offers powerful data analytics tools to help identify which customers are just browsing and which ones are having trouble placing an order. The company claims to achieve up to 20% lower abandoned carts.